Introducing the fifth generation of our most favorite short wallet model, Vessel V.
Now available in our signature American Vegetable Tanned cowhide. 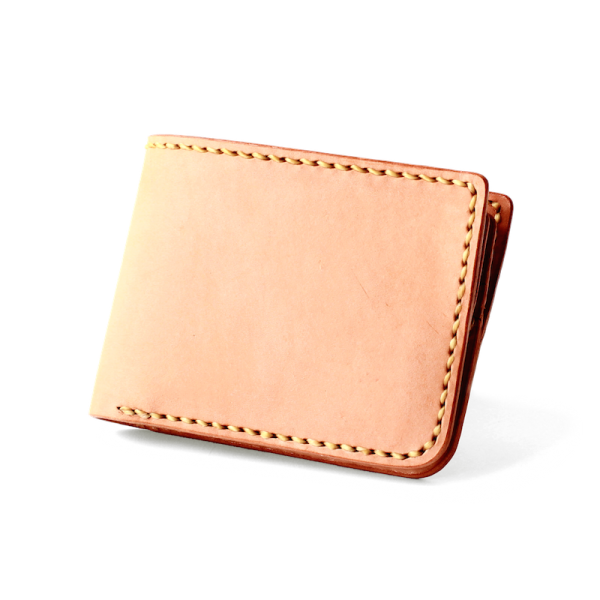 Once again, we raised the bar to make a standard bi-fold wallet to be more interesting and improve its feature. The dimension of Vessel V is more compact rather than the IV, we keep several notable design such as; asymmetrical exterior design & two-tone card slots. New features to make it easier to use the whole wallet; "Index Finger" access - to push out your card inside the hidden slot and dual side-cut for easier access.